Mike's hand hovers over the mouse. He hesitates, then clicks Submit. He's hoping for a few more sales for his languishing self-published thriller, and the offer in front of him looks irresistible. He knows he's paid over the odds, but if it works, maybe he’ll break through the recognition barrier at last. He has no inkling of the drastic consequences that will follow. Looming in the midst of his troubles is the enigmatic Nick Hathaway. He oozes goodwill... but does he have a hidden agenda? Mike can't resist digging into his background, but will his efforts bring him closer to Samantha, the woman he's fallen for in spite of himself? It's soon looking as though he'll merely alienate her. And while he's wrestling with that, he finds himself accused of a crime he didn't commit. 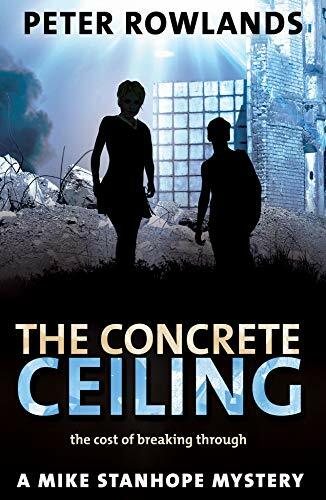 Ranging between London and Los Angeles, The Concrete Ceiling is the most breathless, event-packed novel so far from author Peter Rowlands, featuring vivid and engaging characters, an engrossing mystery and a stunning succession of surprises.